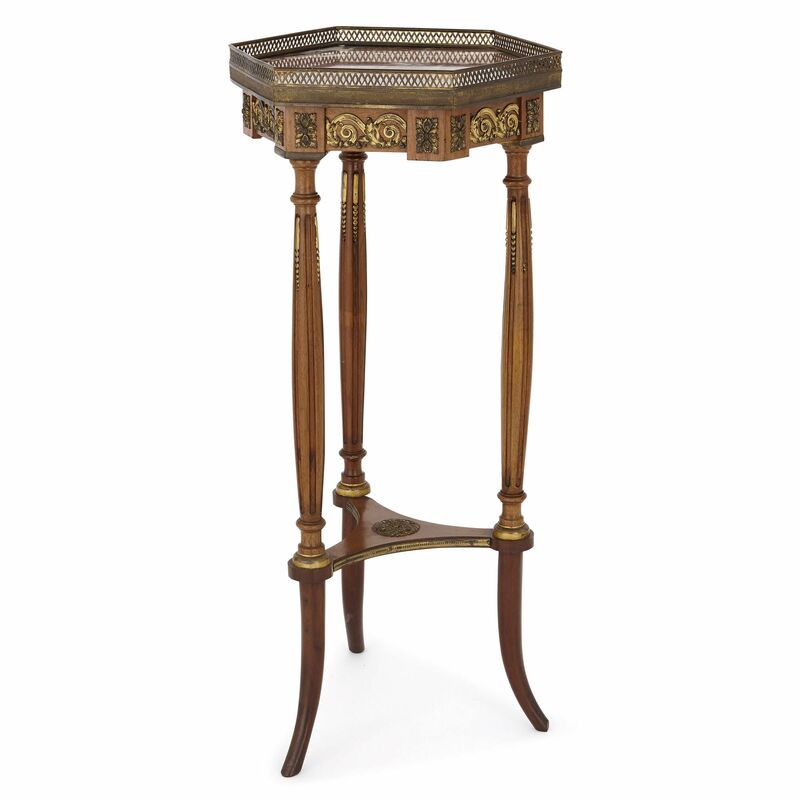 This wonderful table is notable for its fine red marble hexagonal top and three-legged support, which are decorated with beautiful ormolu mounts. 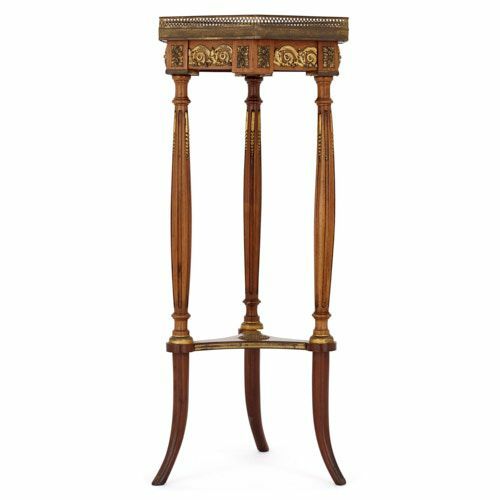 The mahogany wood table stands on three legs, which are linked by a stretcher, and set on four tall flared feet. 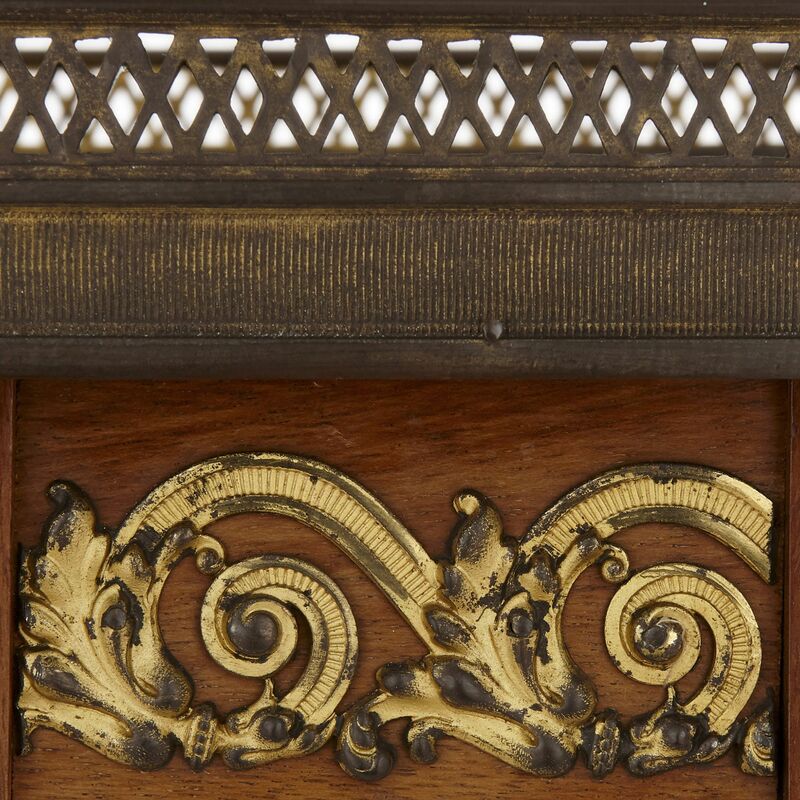 The stretcher is lined with ormolu (gilt bronze), and its centre mounted with an ormolu rosette. 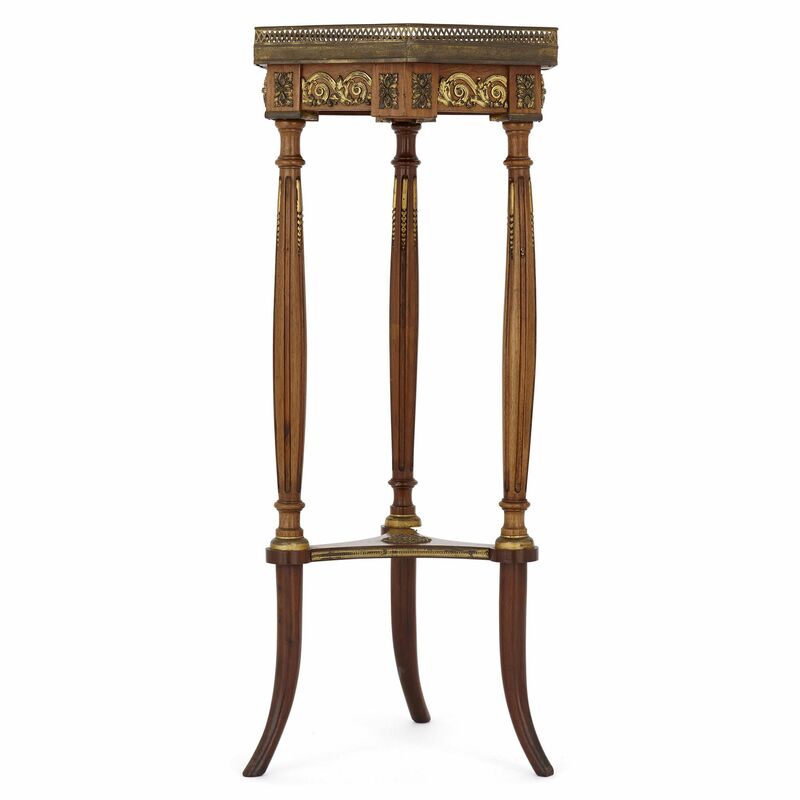 The table’s columnar legs taper at their ends and have slightly convex middles. 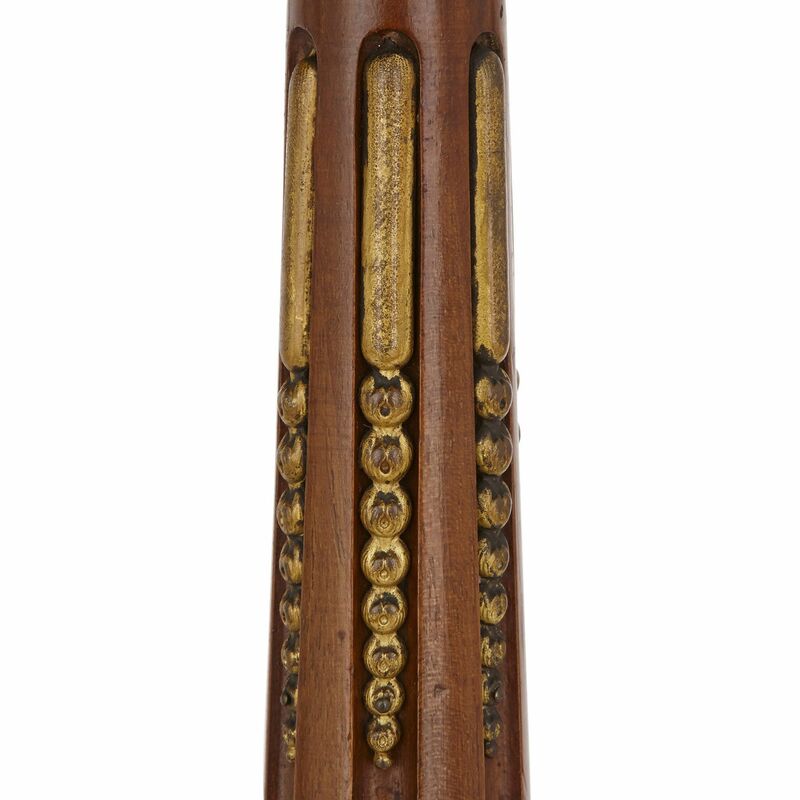 They are fluted and the upper fillets filled with ormolu chandelles (candle-like motifs) with beaded trails. 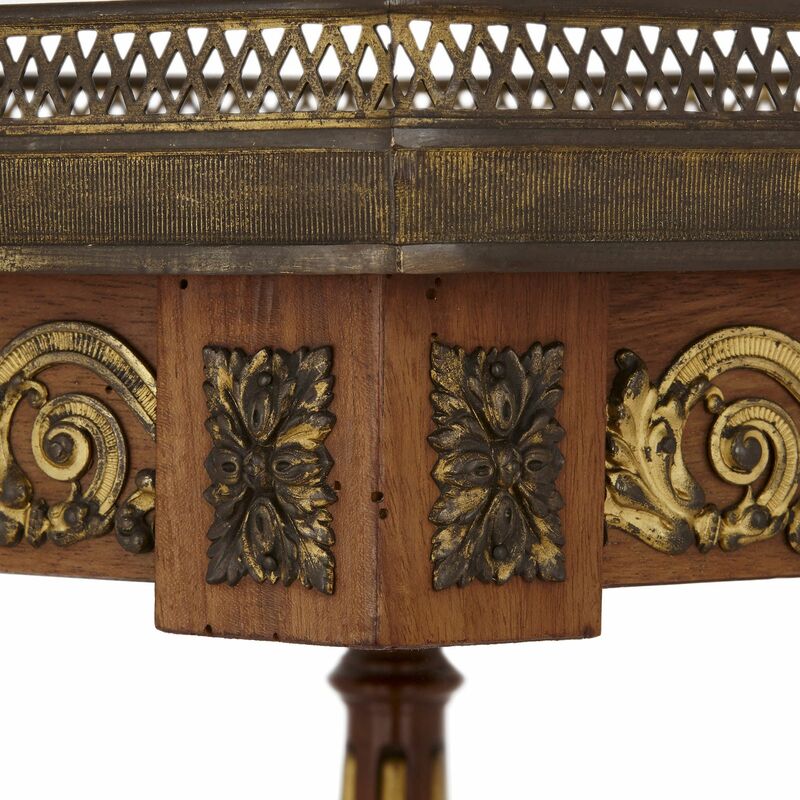 These three legs support a hexagonal table top, its frieze decorated with ormolu rinceau (scrolling foliage) and rectangular floral motifs. 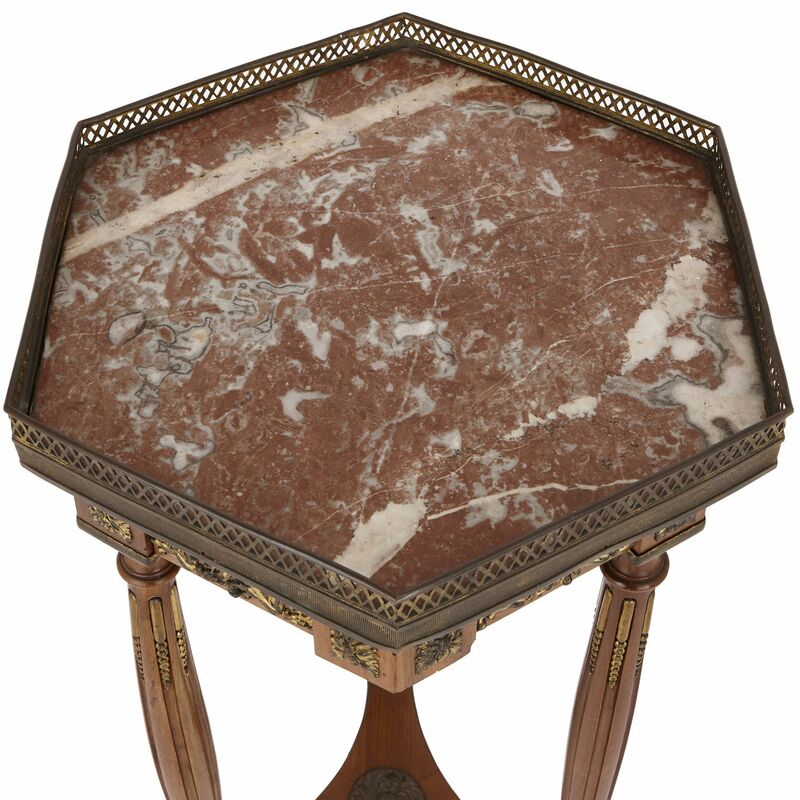 The frieze is surmounted by a hexagonal table top, crafted from white-veined red marble. This top is edged with an ormolu gallery, which is decorated with pierced diamond patterns.